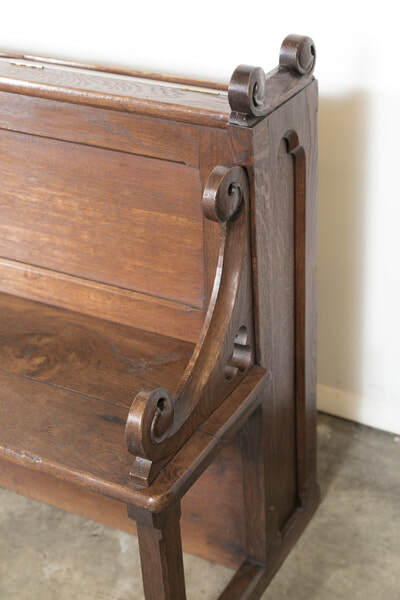 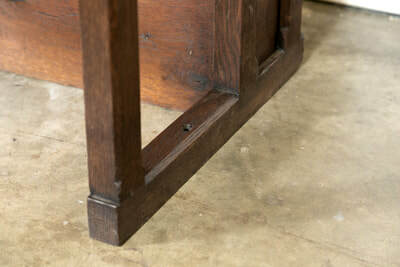 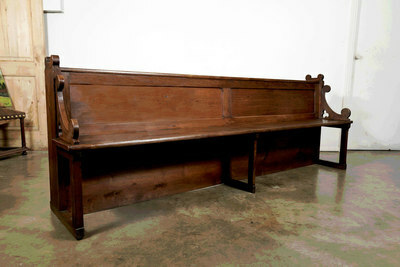 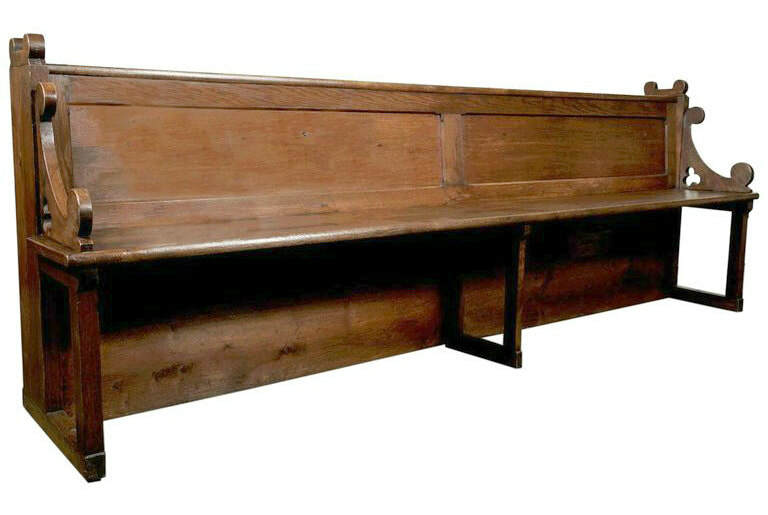 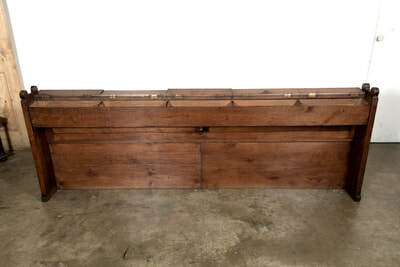 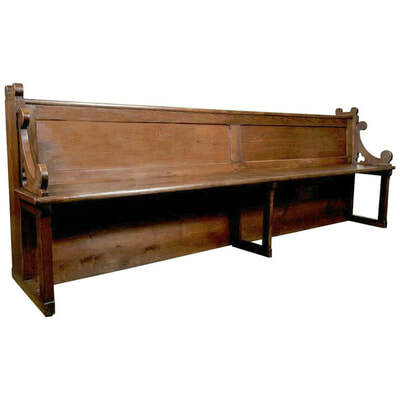 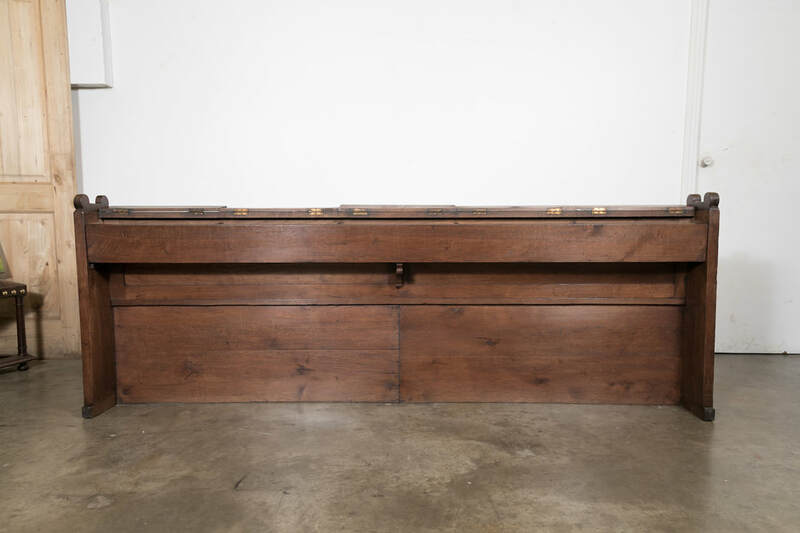 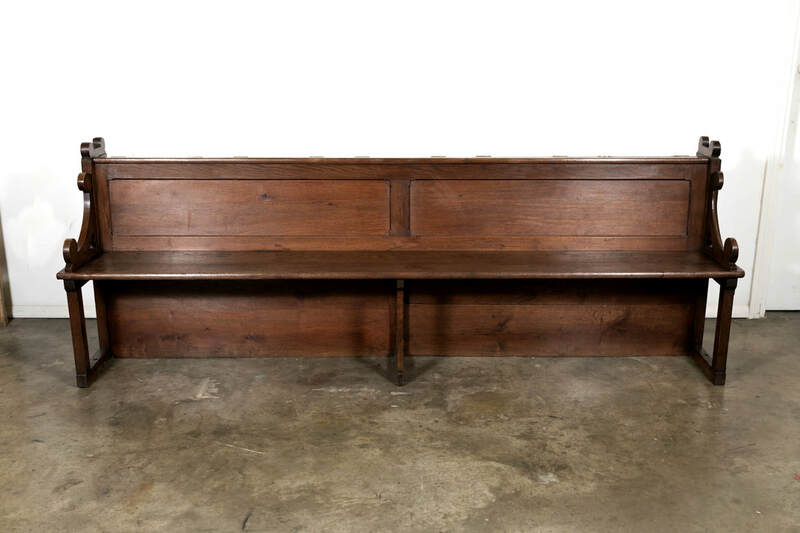 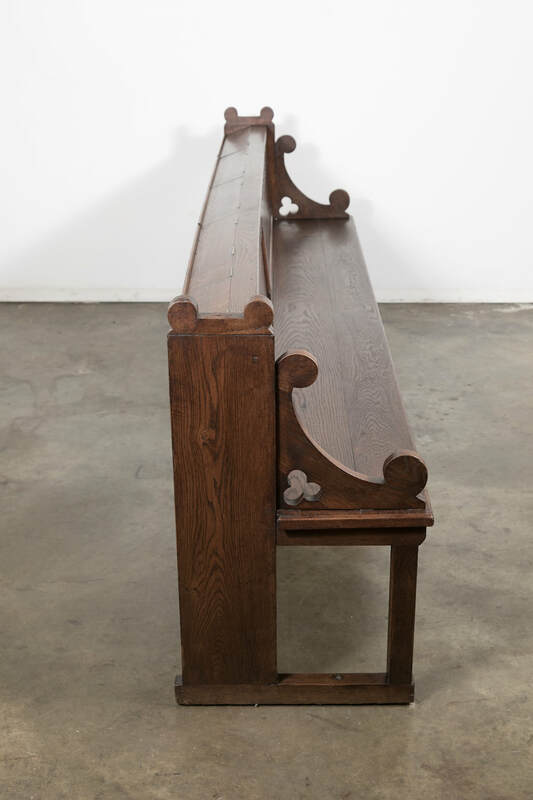 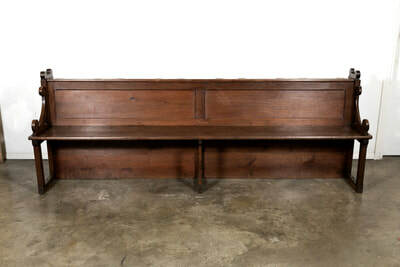 Well preserved 19th century antique French Gothic Revival period church pew handcrafted from solid oak. 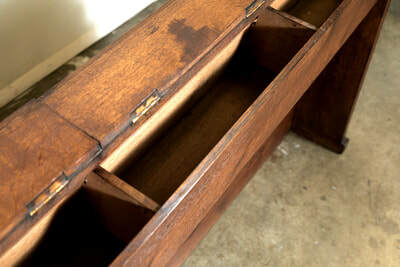 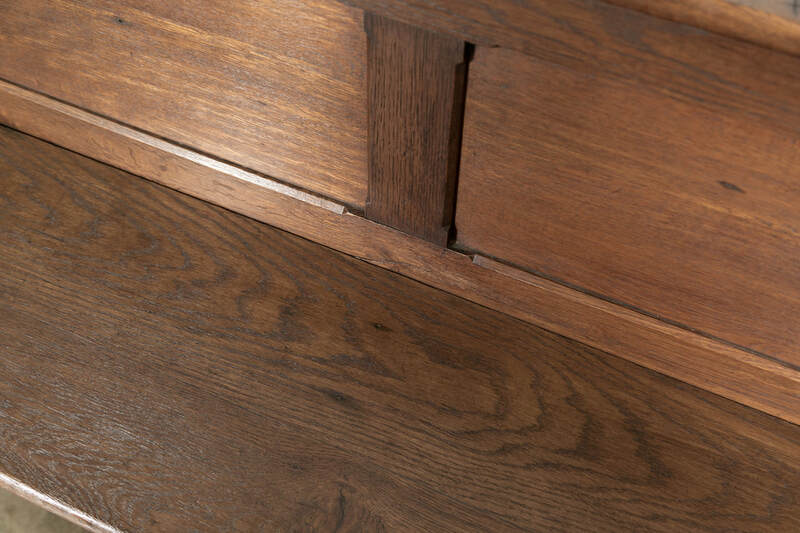 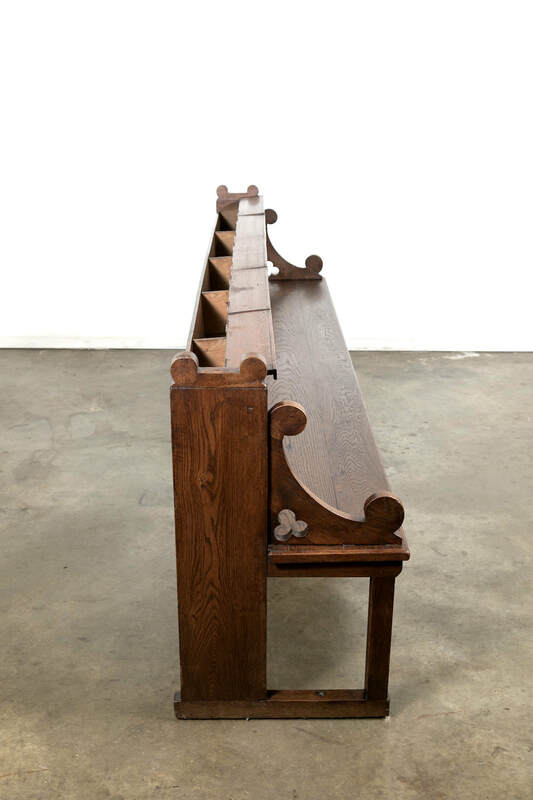 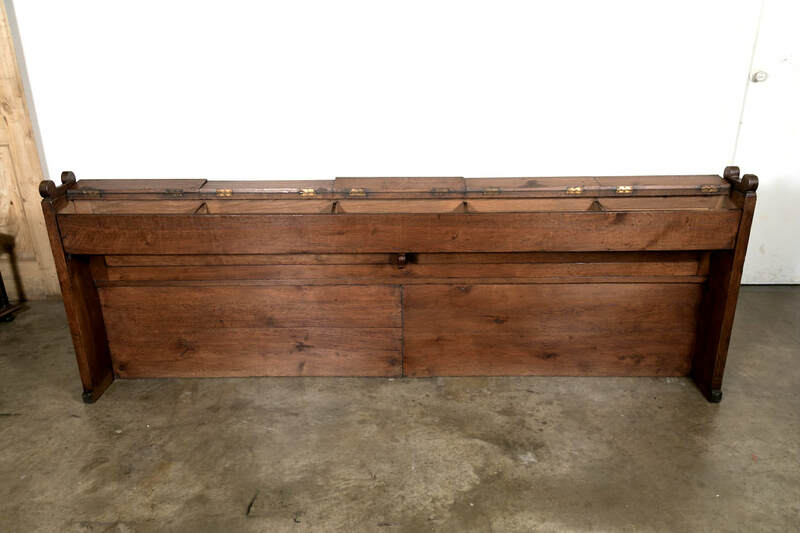 This large church pew features a raised panelled back with a covered Bible or hymnal storage bin and armrests having pierced trefoils. 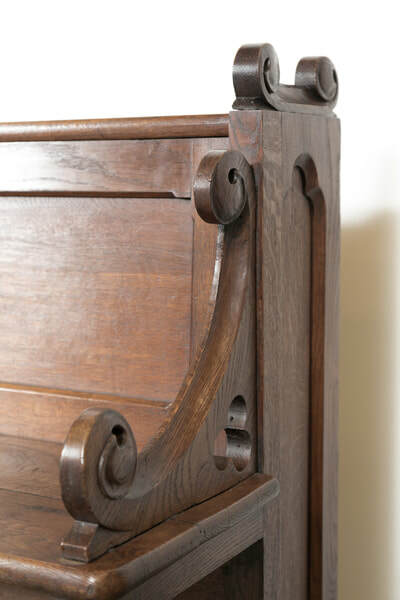 ​The trefoil, a symbol of three intersecting circles, comes from the Latin trifolium, meaning 'three-leaved plant'. 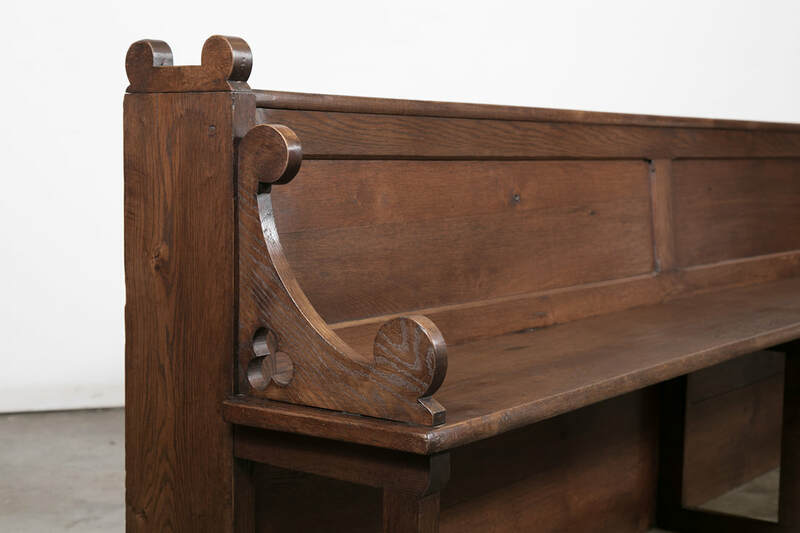 It was adopted as ornamentation to churches during the Middle Ages. 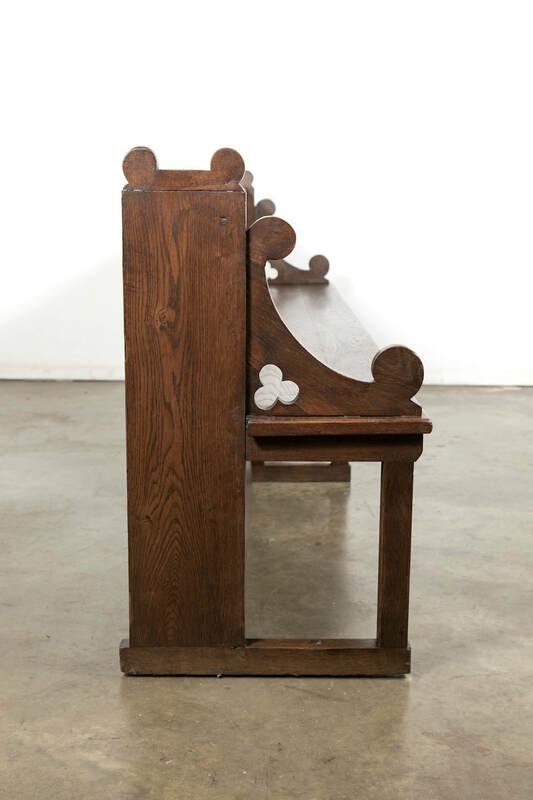 The symbolism of three fits with Christian imagery associated with the Trinity: the Father, Son and Holy Spirit. arm h - 23"; seat h - 18.5"